WASHINGTON—Concerned with the disparities in the medical field, experts and university administrators gathered in the nation’s capital this week to strategize on solutions. The two-day National Academies of Sciences, Engineering and Medicine workshop titled, “The Growing Absence of Black Men in Medicine and Science: An American Crisis,” convened on Monday and Tuesday to address low Black male enrollment in American medical schools. “Hopefully we can come up with things that are brave and bold,” said Dr. Cato T. Laurencin, a distinguished professor at the University of Connecticut and chair of the planning committee for the workshop. Attendees included faculty and university administrators as well as personnel from nonprofits and accrediting agencies. “There’s a commonality in the belief that we have to attack this issue from a number of different standpoints,” Laurencin said. A report published in June and co-authored by Laurencin shows declining numbers of Black males in medical schools since the 1970s. Dr. Louis Sullivan, former president of Morehouse School of Medicine and U.S. Secretary of Health and Human Services from 1989 to 1993, gave the opening keynote. Over a decade ago, Sullivan pioneered research on the lack of minority populations in the health professions. That work was a precursor to these contemporary discussions of equity in medicine and health sciences. For Sullivan, these disparities in the profession have a profound impact on the patients. As the panels began, however, the scope of the conversation expanded beyond health professions and medical school to recognize larger systemic inequities. The first panel addressed the broader context of institutional racism. Speakers including Dr. Camara Jones, a senior fellow at the Satcher Health Leadership Institute at Morehouse School of Medicine, spoke about how, early on, Black boys are not properly supported in their education and discouraged to pursue difficult careers. She was joined on the panel by Dr. Roger Mitchell Jr., the chief medical examiner for the District of Columbia. Mitchell recalled how his grandfather, who was also a physician, inspired him to overcome his odds as a Black man in the medical field. During his presentation, Mitchell cited a 2015 report from The Boston Globe that used data to contradict negative stereotypes surrounding Black men. He argued that the high numbers of Black men graduating from high school should encourage the leaders in the audience to be more proactive in engaging the demographic. Subsequent panels proposed reaching out to students at K-12 schools. Dr. C. Reynold Verret, president of Xavier University of Louisiana, advocated fostering these early relationships. 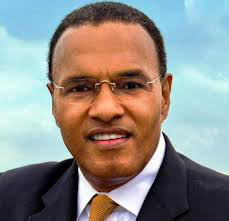 Dr. Freeman A. Hrabowski III, president of the Univ. of Maryland, Baltimore County, contributed a more data-centered perspective. He explained that collecting data forces institutions to look into the mirror and recognize their own inequities. In addition to an emphasis on analytics, he wants the same importance placed on the paucity of Black males as there is on studying cancer. Lively discussions followed each of the panels. Some students were also in attendance. Jalen Dansby, a senior at Vanderbilt University and a prospective medical school student, said it was exciting to know that these leaders and role models were aware of the struggles he has experienced as an aspiring doctor.